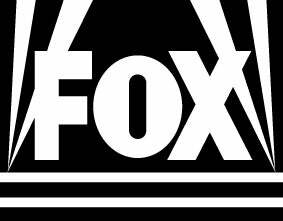 2015-2016 network shows that are on the bubble. I was browsing /r/television and found an article from Variety about network shows on the bubble that I might might be of interest. 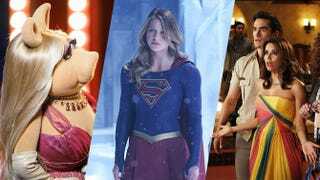 ‘Supergirl,’ ‘Telenovela,’ ‘The Muppets’: Which Bubble Shows Will Be Canceled? There’s a few here that I know are followed by O-Deck folks. I’ll just go by network and point out the ones I think would be of interest. Marvel series “Agent Carter” is highly unlikely to return with star Hayley Atwell signed on to topline another ABC drama pilot. This isn’t going to come as a surprise for anyone who has been following the show. The writing has been on the wall for a few months. I hope they can work out a deal to bring it to Netflix because I think we have enough evidence to show that is where Marvel tv can thrive. I don’t think it’s worth it without Hayley Atwell. Meanwhile, “The Muppets” is primed for a renewal, despite ratings that continued to sag after a midseason showrunner change. Though execs have been 50/50 on bringing back the furry friends in recent months, sources say to expect another season. Long-running drama “Castle” also has a 50/50 shot at returning after jettisoning actors Stana Katic and Tamala Jones and their accompanying salaries. ABC is in negotiations with star Nathan Fillion and will have a definite decision for the show’s team May 5 or 6. CSI:Cyber may be done after a 36% drop in ratings and Ted Danson leaving for an NBC comedy, but the insider says it’s 50/50. There seems to be little buzz for “Limitless” which had a strong start but faded. Supergirl is the one in this group I know most people are interested in and from what the article says there is reason to be hopeful. Fellow freshman drama “Supergirl” wasn’t the huge hit some hoped for, but count on it flying into another season — especially after that stellar example of corporate synergy with “The Flash” crossover, which resulted in increased viewership. Despite the former having a tie to a older but still well known movie, it looks like both “Minority Report” and “Second Chance” will not survive to see a sophomore year. This isn’t surprising considering both shows had their episodes trimmed and order reshuffled. That’s never a sign of a strong show. What is surprising is that it looks like Sleepy Hollow might be back. “Sleepy Hollow” said goodbye to star Nicole Beharie when her character was shockingly killed off in the season three finale, but insiders say the show will probably come back without her. I would be shocked if this insider is right. After the way S3 ended, plus the fact that the ratings were sinking before that and the fact it was put in the Friday death slot, a renewal would be the long bet of the TV off season. That said,I would love to know if Vegas has odds on TV because this show could make you some money if you put a bet on it’s renewal. There’s really not anything related to the sci-fi/fantasy genre but i’m including it to be complete. Shows like “The Blacklist” which has James “Ultron” Spader and The Blindspot have already been renewed.